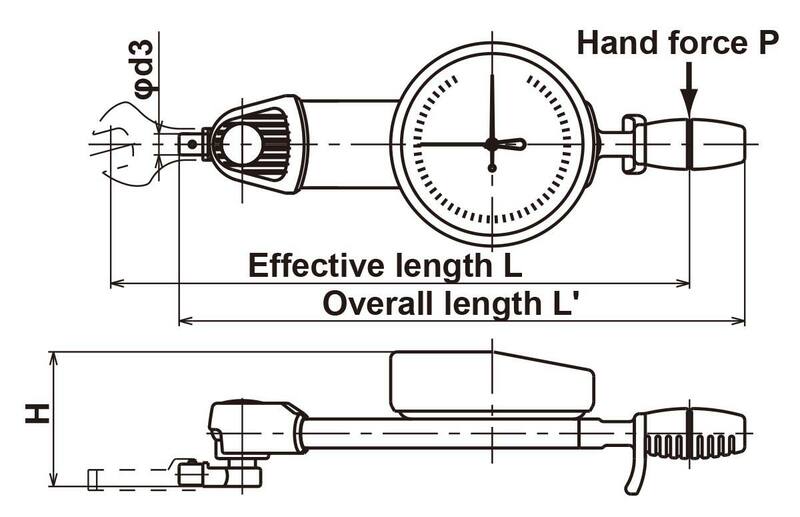 Interchangeable head type dial indicating torque wrench. Since the amount of deformation is small, the operator's fatigue is reduced compared to the flat beam type torque wrench. The dial is movable making it easy to adjust the zero point, or use for tightening by moving dial to desired torque and tightening to "0"
The dial indicator has a full-surround protective cover to prevent damage to external objects (except CDB300N, 420N). Applicable for international use including the EU region. Compliant with calibration procedures of ISO 6789 Type I Class B. Overall length does not include interchangeable head. PH (Pipe wrench head) type interchangeable head is not available for this model.